Thank you for your experience with us in Dalat City, Vietnam. We sincerely appreciate the time you spent reviewing of Dalat city & our services as well as recommending or advising to other tourists who are considering to visit to Dalat city. Your advice will be very helpful and give them the reliable choices. On behalf of manager board wish you & your family healthy & keeping on your travel plans to new lands! Booked 2 tickets to Saigon from Dalat at Dalattrip, 230.000 VND each. They pick you up from your hotel and drop you off near the Benh Tan Market in Saigon. We booked here after not being able to find Mai Linh, and Phuong Trang having not a single English speaker. The vehicle was practically perfect. 25 seats, only 9 passengers. Seats comfortable, reclined more than enough, although narrow at shoulder hight. A/c worked well, overall state of bus clean and great. 3 stops along the 8 hour route, 10 min/40 min/10 min. Be prepared for horrible road conditions: it’s a bumpy ride to Saigon. I took the tour with the elephant ride which was underwhelming. It didn’t look like the elephant was well taken care of and the elephant driver was smoking and spitting the whole time. The ride consisted of going up then down a hill. The rest of the tour was fine including Datanla falls where the roller-coaster was amazing. The place our tour guide took us for lunch was easily the worst food I’ve ever eaten and very overpriced. Choose a different tour, the elephant ride is horrible. 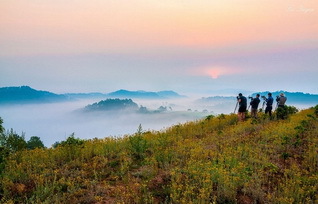 This trip up the 2169-metre peak is for average fitness hikers, who do not mind some thigh soreness,,. My family of three (I am 55 years old) were able to reach the peak after a steady 3- hr trek from the base, with numerous rest stops. We enjoyed the view along the coffee plantations, the pristine pine forest, listening to the rustling of pine needles as the wind blows overhead. The last part of the trek is steep, but steps are present. The weather changed to a drizzle and we arrived at the top blanketed by mist, so there was no view of the city. Our young and polite guide from DALAT Tours, Mr Tien,speaks good English and was a responsible host, looking out for wildlife and providing small details along the way. Thank you Tien. We had a great time. A group of three of us went on the Pongour Falls trip last week. We all had a very enjoyable time, and a large part of this was due to our brilliant tour guide. He gave us a lot of amazing information, facts and stories about both Dalat and Vietnam. We were also impressed by the variety of places we visited on the trip, including a Buddhist monastery, Paradise lake, the cable cars and of course Pongour Falls. We had a great time! We had a private tour which included a visit to a local monastery, a cable car ride, a mountain Roller-coaster which was a highlight, lunch at a local restaurant café, some waterfall discovery which was awesome and an elephant tour. We loved everything, but didn’t do the elephant tour in the end, as there is only one elephant and although we got to pet and feed the elephant, she has a very lonely life doing circle walks for tourists on her back, so paid extra for her to have some time bathing in the lake. Everything was amazing and well worth doing and if we hadn’t done this tour I wouldn’t have liked Dalat as much as I did. If you are going to book a tour here, book with these guys, they are a safe pair of hands!!! Amazing coffeetrip in Dalat region, thanks to Tien, best guide we have had in Vietnam. He is very kind, helpfull, polite and very well English speaking. Tien has a lot of coffee knowledge, as he is the son of a coffeefarmer. Also thanks to our driver, fantastic person. We wish them lots of succes in the future. All the best. Fam jan Adriaens Belgium. While in Dalat, look for Mr Lee from Mimosa travel, leave it to him. 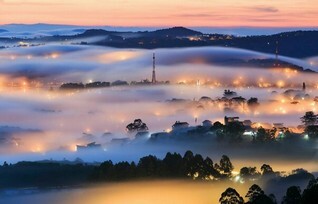 Weather in Dalat is cooling.. enjoy the fall, scenery, etc.. Thanks Mr Lee for the wonderful time in Dalat. Will come back again.. I went on a 1 day trip with them (morning to 3pm). My guide was Lai Van Tien. He was kind, well english speaker and had lots of knowledge he happily shared with us. The trip was a very good experience, big part of it thanks to Tien. We took a city tour of Dalat with our tour guide Mr. Vu. Mr. Vu was very professional and extremely knowledgeable and we throughly enjoyed our day of touring with him. Bought of these trips were nice and worth seeing. Our guider Tien was excellent, very helpfull, friendly and professional.Thanks him we spent 2 amazing and unforgettable days in Dalat. We went on this trip as we were impressed with the cool climate but the weather is just fair. We hired a private tour from Dalat Trip which we source from the internet and they have a few selections to pick for day tour and their prices are reasonable. We went to Crazy House to have a look at the weird looking architecture with the animal motive of the hotel for those looking for an extraordinary stay. Overall the place was pleasant and at that time that we went they are constructing more rooms. We also visited the King Boa Dai’s Summer Palace where the previous king used to come here to stay during the summer time. You have to wear a cloth shoe cover before you enter and the guide will show you the hall, rooms in the palace and there is a corner where you can get the photographer to take a picture for you with the attire meant for the king and queen and will be charged. Only professional photographers are allowed to take the photos. We also went to one of the Tru Duc Temple which has a garden with many flowers. One of the Waterfalls that we went is the Prenn Waterfall. Besides the waterfall, further up is a place where you can ride an ostrich for a fee. Another waterfall where some of my friends went is the Pongour Waterfall where it was stated to the best ever waterfall but this is not in the selection but can enquire for a separate trip. If you have more people, you can negotiate with the company for the best price and they can accomodate if it is reasonable. We also went to one of the churches, the Romaine de Marie Church. From the mainroad, we have to walk a few metres to see the interior of the church. Not forgetting the Valley of Love where this is more of the recreational area with nice scenery depicting the lovey-dovey background where if you are a couple you would love this place. More to the romantic scene where this place with bring back the spark to your love. We also visited the Old Railway Station where it was running using steam but now there is a station that still exists there but the train is a different one. We also requested to visit the Lat Village but it was not available and instead they sent us to a church in Lang Bian Village where the guide show us where Lat people goes for the prayer. One place of interest should be the Dalat Flower Garden but we did not go. We also took the Dalat Cable Car which is a one way to the temple and we will our bus will wait for us there. Overall fine. My partner and I had a private tour to Pongour Waterfall with Mr Tien as an English-speaking tour guide in January 2014. We thoroughly enjoyed the trip. Tien was professional, knowledgeable and friendly. He was patiently waiting for us to take lots of photos, and also took nice photos for both of us. His English was good and easy to understand. He was also willing to learn and correct his English while talking to us. The staff at Da Lat trip office was efficient and nice. We would highly recommend Da Lat trip – private day tours to other travellers. I wished to divert from usual itinerary a bit as I was focused on photography, and had a private tour. Very reasonably priced, Tien was a great guide (friendly, knowledgeable, and accommodating.) Spent lots of time at Pongour Falls as I like photographing falls. Saw other great sites and stopped at great little place for some delicious Pho! It’s our first visit to Dalat and we are very fortunate to have Mr Le from Dalat Trip as our guide. He is professional, knowledgeable, very friendly and takes the initiative to help us with our photos and patiently answering our numerous questions about the various attractions and culture of Dalat. We had a wonderful time and an eye-opening experience and adventure, all thanks to Mr Le and our very skillful driver. There are so many day tours available in Dalat. But it is my recommendation to choose this company. I and my mom have a memorable trip in Dalat. Not only because of its charm and beauty but also a superb service. We are lucky to have Mr. Lee as our tour guide.